Selected to match all of the girls' jackets we have chosen for this year's range, the Flutterflake (try saying that when you've had a few) is a fantastic value, durable, girl's salopette made from waterproof, breathable Ared 5000 coated polyester fabric with fully taped seams and water repellent finish. Inside there's a soft polyester lining for warmth. 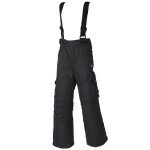 Other features include; part elasticated waist, detachable/adjustable braces with back slider system, 2 zipped pockets, reinforced ankles, integral snow gaiters. 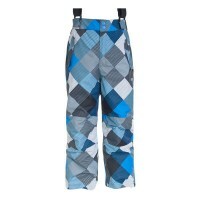 Dare2b Flutterflake Girl's Ski Pants.